Obtaining a mortgage is an essential step toward buying a new home, but options for factory-built homes can seem limited, and the details can sometimes be confusing. 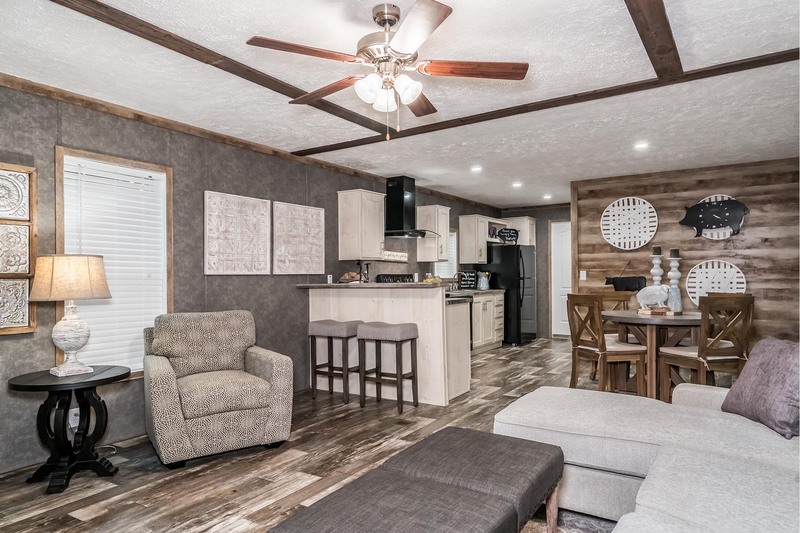 At Denham Springs Housing, we can help you make sense of it all—our team is experienced with the current options and resources for manufactured and modular home financing, and we can help you make sense of it all. We’ll help you find a home loan that’s right for your particular financial situation, and make sure you’re able to do so without delay or unwanted stress. We want to help you get a great deal on a new home you love. Read on to learn more about the financing options Denham Springs Housing offers, or pre-qualify for a home loan now—just complete and send the short form at the bottom of this page, and we'll reach out to you. Once you find the new mobile home or used manufactured home that’s right for you, we’re committed to making it a reality for you. At Denham Springs Housing, our team of experienced factory-built home sales and finance professionals will go the extra mile to get you into the new home you love. We offer our customers a wide variety of financing sources. Our professionals will help you find a financing program that suits your individual needs. We’ve helped hundreds of satisfied home buyers find the loan that works for them. We’d love to do the same for you! In an effort to best serve all of our customers, Denham Springs Housing offers a multitude of factory-built home financing options. We can happily help you with Home Only, Land & Home, FHA, and Rural Development home loans. We even offer Zero Down financing, with approved credit! Fixed and variable rates, low notes, and flexible terms are available. If you think you can't get a loan for a home, think again—we have financing to fit almost every situation or need. If you have credit issues, our experienced staff can help you with that, too. At Denham Springs Housing, we believe home buyers deserve the peace of mind that comes with knowing their investment will be protected in the years to come. What’s more, our 33 years of experience has taught us that insuring new homes is always a prudent decision. In addition to financing new and used manufactured homes, Denham Springs Housing also offers manufactured homeowner's insurance to the manufactured homes sold in and around Baton Rouge, Louisiana. After we’ve helped you secure a loan to purchase your new home, we can help you acquire insurance, too—it’s our goal to serve all of your housing needs in one convenient location. We just wanted to thank you for sharing your time with us. We appreciate your comments and advice, and your answering our questions and concerns. It was very impressive to see the level of quality of the homes available at Denham Springs Housing! We loved everything we saw. We’ll be back to buy very soon!